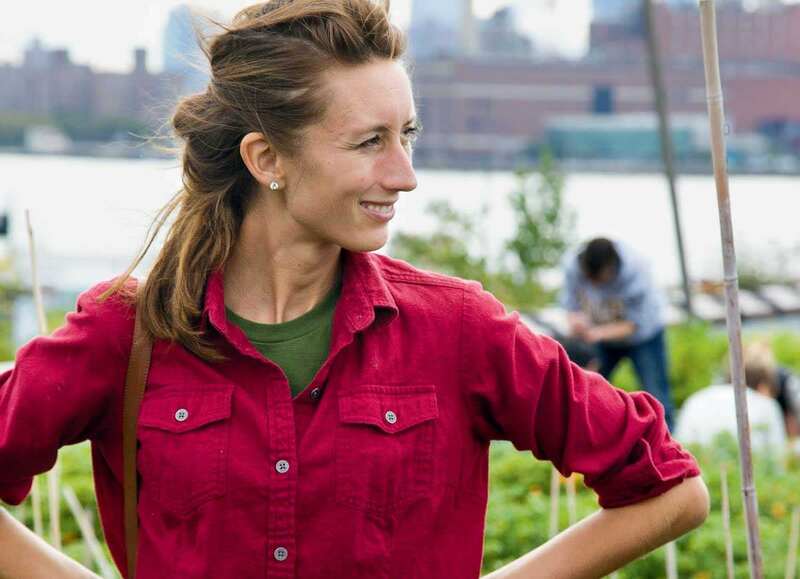 Brooklyn's local-food movement has this woman to thank for much of its produce. The cofounder of America's first green-roof commercial farm, Novak expounds on the challenges - and rewards - of urban agriculture. How does your unique situation affect your crop choices? I grow things that can withstand the heat of a full sun rooftop and tolerate the shallow depth of our growing media. I also look for high turnover, short season plants. Since we started, I’ve narrowed the number of crops, choosing a greater variety within each. We do a dozen different chili peppers, plus sweet peas and beans. Microgreens are harder, but they’re fast and financially successful. What advice would you give someone considering the rooftop route? The first step is determining your safety parameters and local building and fi re codes. For example: Are the roof’s parapet walls of legal height? You also have to determine the weight load the roof can handle. Bear in mind that your growing medium will be one weight dry and much heavier when saturated. Volunteers: free labor or management challenge? Working with volunteers is immensely rewarding and helps spread the message of the value of farming. That said, you have to be organized. I have a daily to-do list, almost written like a recipe, that explains what tool you need, what you’ll do with that tool, and so on. I share that list with my staff, and they share it with our volunteers. Have people tired of restaurants that deliver a backstory with every lettuce leaf? Learning about food as it’s plated is not a negative thing. I’ve never understood the critique of the narrative aspect of the local food movement. We’re not aiming to make food precious, but practical. It’s necessary to know where your meal comes from. Storytelling is at the root of policy, social, and cultural change.